The harmonica has endured over the years because of its versatility in blues and folk. Take Dylan and Little Walter, both of them play the harp (harmonica) in very different ways. Dylan mostly playing what are called ‘straight harp’ meaning using the ‘blow holes’ more than the ‘draw’. Straight harp means if the song you are playing is in the key of C you would play a harmonica also in that key! See Bob Dylan playing the Harmonica in ‘Blowing in the Wind’ on YouTube. Little Walter on the other hand would primarily use the ‘draw notes’. 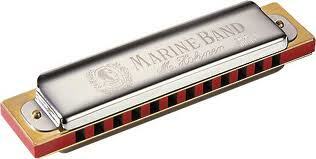 So if the song was in the key of C the blues harp player would play the harp in the key of ‘F’. This is because when you play the draw notes in a ‘F’ harp you produce notes that sound bluesy over a blues in C. Little Walter would also ‘bend’ the notes on his harp too, something particular to playing the blues. It is a difficult technique to master. See Little Walter in a YouTube video below ‘drawing’ on his harmonica. You can really hear the difference! There are also two types of harp. The ‘Diatonic’ and ‘Chromatic’. 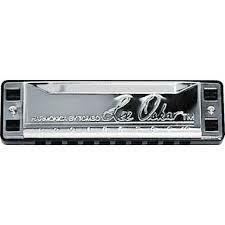 The Diatonic or ‘blues harp’ has 10 holes producing just the major scale whereas the Chromatic harmonica has the same but by pressing a button enables the sharp and flats to be played. Of course by bending notes on a Diatonic these notes can be achieved. The ‘marine band’ is the warmest sounding harp in my opinion with its wooden comb it can become warped if not played properly but it remains the original and best. Lee Oskar provides a plastic comb and are ‘brighter’ sounding so it depends on what sound you are after. Both cost around £25. Lets not forget that the Harmonica is a wonderful instrument! Small enough to ft in your pocket, but with a sound that is sweet and soulful, bluesy and melodic! 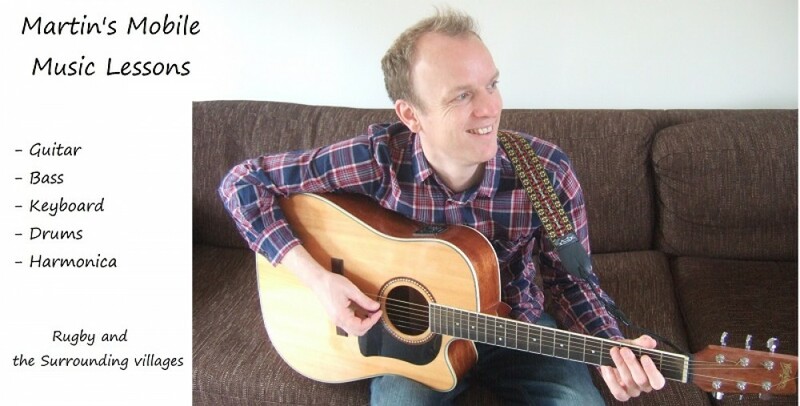 This entry was posted in All Blogs, Harmonica Lessons Rugby by abidennison3. Bookmark the permalink.